The Mammoth Cave Hotel is located adjacent to the historic entrance to Mammoth Cave, on the grounds of Mammoth Cave National Park. The hotel offers 42 Heritage Trail Rooms, 20 Sunset Terrace Rooms, 10 Historic Hotel Cottages, and 20 Woodland Cottages. 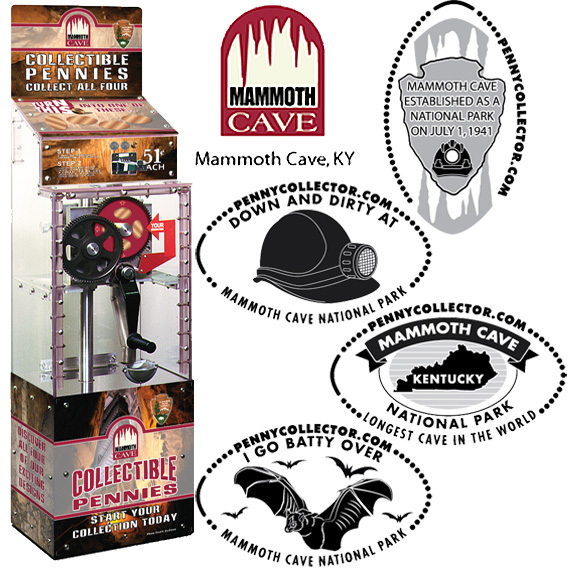 The penny machine may be found just outside the Mammoth Cave Hotel gift shop. From the Visitor Center, go out the back door, across the bridge, and into the back of the hotel. Once through the double doors, look right and you cannot miss it.